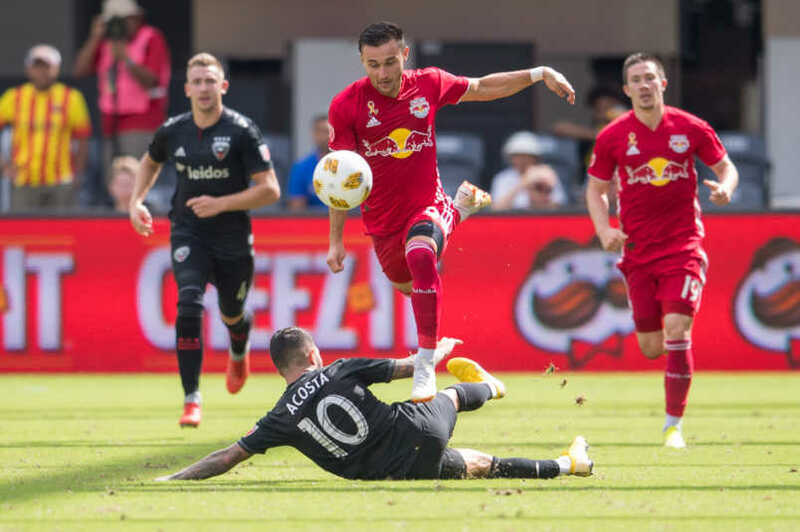 By Clemente Lisi – NEW YORK, NY (Feb 11, 2019) US Soccer Players – The start of another MLS season is just weeks away and coaches are refining their tactics with the start of the Concacaf Champions League and the numerous preseason friendlies. It’s a good bet that teams will line up in a very familiar 4-2-3-1 formation, which has become the tactical formation of choice for managers in recent years. The big question is why? Simply put, it works. Last season, for example, seven teams used the 4-2-3-1 as its primary formation. That group included MLS Cup champions Atlanta United, Supporters’ Shield winners New York Red Bulls and the playoff-bound Columbus Crew, Seattle Sounders, and the Philadelphia Union. Only the New England Revolution and Orlando City failed to make the postseason. Teams that have used it, but not all the time includes the Chicago Fire, Los Angeles Galaxy, Montreal Impact, FC Dallas, Vancouver Whitecaps, and Portland Timbers. That’s around half of the league. New England and Orlando, teams with a significant talent gap compared to the teams at the top end of the table, are the outliers. Atlanta and the Red Bulls set a trend that doesn’t appear to be coming to an end anytime soon. It’s a formation that combines the attacking flair of the 4-4-2 to the midfield strength of a 4-3-3. It creates a sturdy backline, fluid passing in the middle, the use of speed by the fullbacks along the wings, and ability to create more scoring chances. It also frees up the playmaker, the traditional #10, to orchestrate more plays. The formation works because it allows teams to become compact when the other team has the ball. The flexibility in this tactic allows the players to spread out and use as much of the field as possible when attempting to score. This formation was by no means invented by MLS teams. Its roots go back to the 1960s, effectively used by Brazil in its runup to the 1970 World Cup title. Lining up like a 4-3-3 but functioning more like the 4-2-3-1, that team merged creativity and speed with the likes of Pele, Carlos Alberto, Rivelino, and Jairzinho like no other in history. Very few teams, at any level, have made winning look so easy. The formation took off in Europe, and in particular by several Spanish clubs, starting in the 1990s. In Columbus, former coach Gregg Berhalter used the formation to great effect. 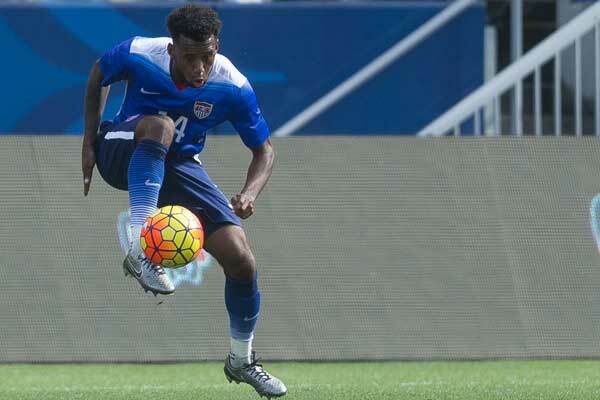 As National Team coach, Berhalter used the 4-2-3-1 in the USMNT’s recent friendlies against Panama and Costa Rica. The use of three midfielders and a sole striker worked to great effect. On defense, the team took on a 4-2-2-2 shape. Offensively, the team looked like a 4-2-4. It’s that formational flexibility and the ever-changing National Team pool and personnel that makes it a potentially winning formula going forward. Writing for The Guardian, tactics expert Jonathan Wilson relayed an article from Spanish coaching magazine Training Football. That pinpoints the reemergence of the 4-2-3-1 to the 1991-92 season when coach Juanma Lillo used it with Segunda Division side Cultural Leonesa. Needing the right players is absolutely correct. You need players who are fast, defenders and midfielders to effectively execute the transition game, and ones who aren’t afraid to push forward as well as track back. For instance, in recent years Rafa Benitez at Liverpool and Jupp Heynckes both found success with the formation. Liverpool featured Steven Gerrard, Javier Mascherano, and Xabi Alonso who were able to link up with striker Fernando Torres. The formation worked because it featured some of the best midfielders of the past 25 years. In a 2016 interview with FourFourTwo magazine, Chicago Fire coach Veljko Paunovic said he recalled seeing the 4-2-3-1 formation when he played in Spain throughout the mid-1990s. “I think it became popular when the coaches realized how transitional the game became in the modern era of soccer… You have more players to defend within 4-2-3-1; you can also be a very dangerous team in transition once you recover the ball, but as transition demands a lot of energy, a lot of effort – and that style can be very draining for the team – then you have to also be able to control the game by having the possession of the ball. This system also gives you this possibility, just by opening up a little bit more [with] your wingers and giving the width and depth with strikers,” he said. MLS has embraced this formation but were slow to come to it. The classic 4-4-2 was by far the preferred lineup. The likes of Bruce Arena used it from the early days of MLS and through the early 2000s. As coach of the Los Angeles Galaxy, he opted for a 4-2-3-1 with the arrival of Gerrard in 2015 in order to play off the English midfielder’s strengths. It ultimately proved ineffective, but more because of squad issues. The main reason teams like it is because it gives managers flexibility. MLS remains a league where a long season played through the summer, traveling great distances, and playing on FIFA international dates means coaches need the whole roster to take part. Coaches need flexibility. In addition it overcomes a lack of veteran players and quality strikers by having midfielders and fullbacks take on a larger role on set pieces as well as in the build-up of plays. It’s these conditions and mindset that have cemented the 4-2-3-1. Expect it to be the formation of choice this season in MLS.